Sometimes people just want to sing-along with the singer, sometimes to learn the song before they attempt to go it alone. Sometimes its the helping hand to get them up to sing in the first place. That's why people love Multiplex aka MPX Karaoke Songs, so they can sing-along..
in both MP3+G and MP4 Karaoke formats. 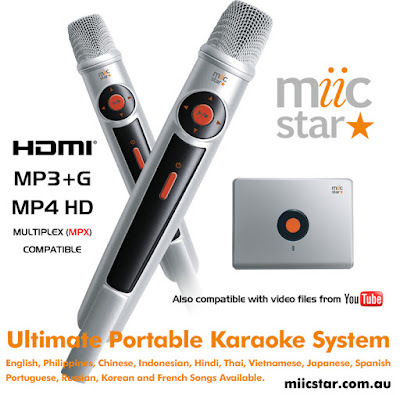 So on the new Miicstar MS-62 Karaoke System you can use either format, MP4 is recommend for people using HDTV's over 32" for a crisper picture. Then you can select using the remote control to switch on or off the cover vocalist. 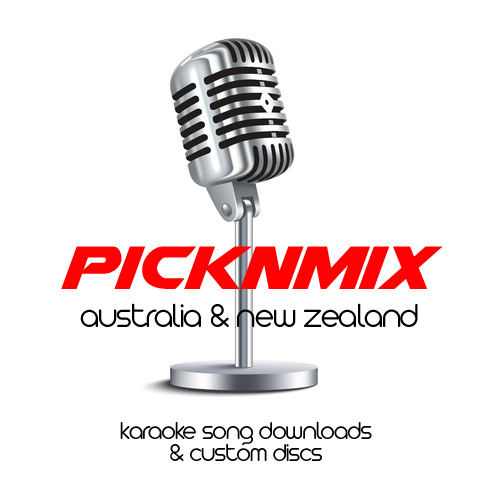 Get your MPX songs at www.karaokemp3g.com.au or www.karaokemp4.com.au both on the www.picknmix.com.au karaoke download platform. If using a Magic Sing ET-23KH Karaoke System you need to choose the MP3+G karaoke format but please note you cannot switch off the cover vocals, they are always on, this is a playback limitation of the system. Now you can grow your song library with our new MP3+G Karaoke Digital Song Packs, hundreds of top songs in many different genre's all pre-loaded and ready to play on a USB memory stick. Just plug in the front of your ET-23KH Magic Sing and start singing away! The highest professionally recorded songs complete with backing vocals in the chorus line. Aussie Songs, Country Songs, Duets, Party Time Songs - 5 Volumes, Love Songs, Taylor Swift Songs, 60's & 70's Songs, 80's Songs, 90's Songs, Classic Hits from the 1930's / 40's & 50's, The Beatles, Elvis Presley, Abba, Girls Songs, Guys Songs, Classic Soul Songs, Piano Singalong Songs, Rock N Roll Songs, Show Tunes Songs, Kids Songs, Crooners Songs, Rockers Songs, Christmas Songs and others. Now available in Australia is the Miic Star Karaoke System. Similar to the Magic Sing but in so many ways a better alternative. Its ultra small and compact and includes two wireless microphones as standard. HDMI for HDTV complete with cable or standard RCA using the Red/White/Yellow AV connections. 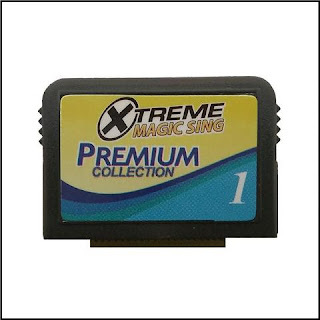 MP3+G English song download compatible with fully featured playback including key change / record / tempo / multiplex audio selection, which the Magic Sing cannot do. in both MP3+G and MP4 formats. 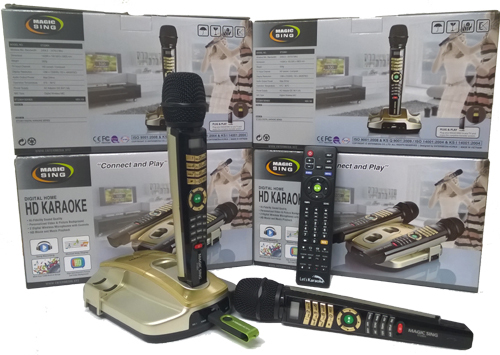 A true hybrid karaoke system that lets you enjoy all the conveniences that a Magic Sing Karaoke system offers the user... like portability, ease of use, multi-language song availability, party time scoring to see who is the best singer of the night, to name a few. But the real difference many users are starting to discover is the ability to expand their music library beyond that of what magic sing has available. 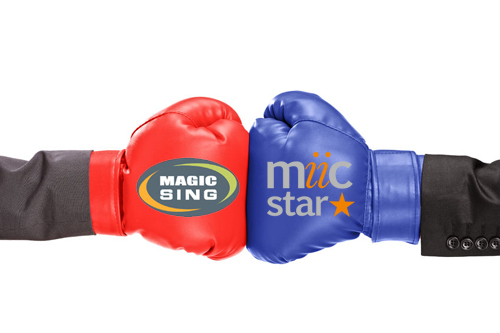 The single biggest complaint we have received over the many years of selling Magic Sing was the limited availability of English music songs. The latest songs generally aren't popular for long these days before we find ourselves singing the next big hit song, and we want them now not in two years time, when Magic Sing deem it a popular song to add to a song chip. It’s not only popular songs, country, rock, classics, musicals and songs from the 1930's and 40's many of which you just cannot get on a song chip. If you wanted Australian or New Zealand popular songs, forget it, that’s just too hard for Magic Sing. Even popular artists like Abba, Elvis, The Beatles, Roy Orbison and so on are available on Magic Sing but just a few songs from each artist, spread over all the different song chips. Wouldn't it be nice to have access to over 70,000 songs and get pretty much any genre of music you like, latest chart hits from rock, pop, country etc, the classics your Mum and Dad love and all the ABBA or Beatles songs ever made for Karaoke... Does that sound appealing to you? Well like I said that's all changing with the new ET-23KH Magic Sing System. Because this Hybrid Karaoke System enables your to spread your musical wings and enjoy the worlds largest English library of karaoke songs in MP3+G format. 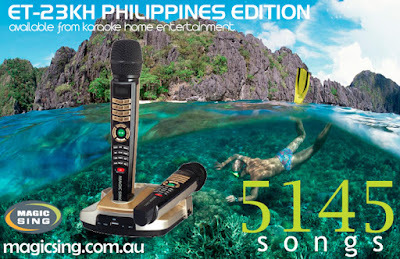 With a push of the APP Button you can insert a USB Memory stick full of MP3+G Karaoke songs selecting from over 70,000 tracks you can even grow that further by purchasing CD+G Karaoke discs and then converting them with software into MP3+G Karaoke songs. 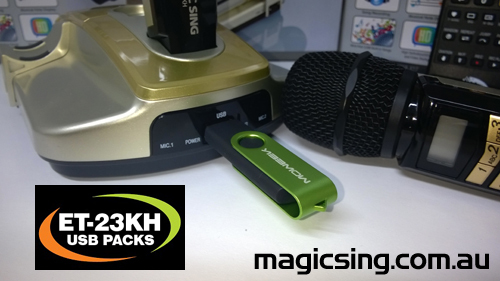 So if you have a Magic Sing ET-23KH model check out www.magicsingdownloads.com for more information or simple head straight over to Picknmix and choose from either single songs or complete albums all in MP3+G format ready to load on to a USB memory stick. Then start enjoying the benefits of the expanded music library. 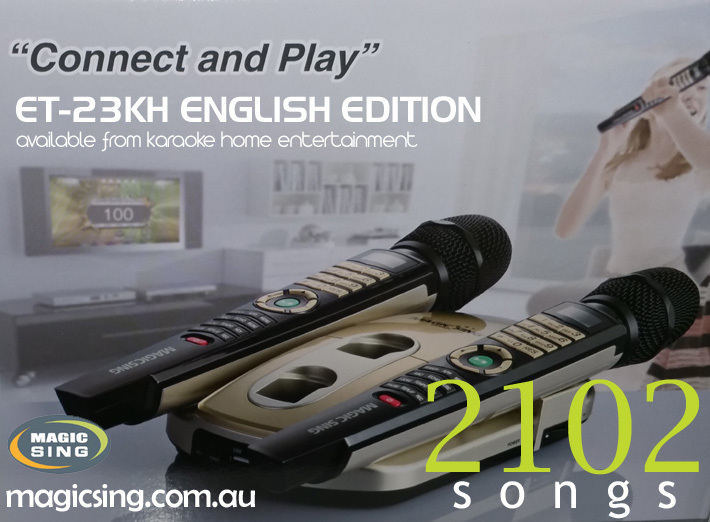 The ET-23KH model is sold world wide and in Australia / New Zealand by Karaoke Home Entertainment in our Melbourne and Perth Stores and most importantly when you buy from KHE you get an local (warranty) so should anything go wrong you deal directly with KHE to get your system back up and running fast, and our units comes with AU/NZ power supply. click for Australia or New Zealand links. 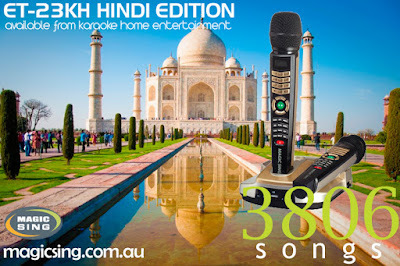 See www.magicsing.com.au (Australia) or www.khe.co.nz/magicsing (New Zealand). 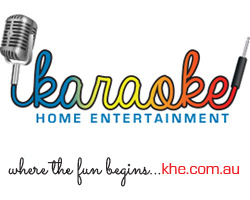 Copyright 2014/2015 Karaoke Home Entertainment - www.khe.com.au. Awesome Inc. theme. Powered by Blogger.